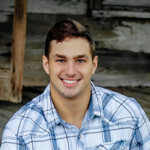 The Preston ‘Gage’ Pitman Scholarship honors the life of this young man who was following in his father Page Pitman’s footsteps toward a career in construction. In his honor the Tallahassee Builders Association (TBA) along with the Future Builders of America (FBA) will house the scholarship foundation for those that seek to fulfill a career in construction by attending a local technical college or community college in order to earn certifications toward their future career. Applicants should be students in good standing at a secondary education program or post secondary trades program and recommended by their teachers with a strong interest in the construction industry or related trades who desire to pursue higher education opportunities but lack financial resources. An applicant should demonstrate an interest in obtaining employment in the construction industry upon graduation. Applicants must be from Gadsden, Jefferson, Leon and Wakulla Counties to be eligible to apply for a scholarship. Scholarship applications are available in January on the official FutureBuildersofAmerica.org website and through local High Schools and our local FBA Chapters beginning in January 2019. Awards are available in early Spring and will be paid directly to the educational institution. Students who are awarded with a scholarship will be announced during the annual Parade of Homes Award Gala. Much thanks to our donors for supporting and honoring Gage Pitman and the Pitman Family through their donations to the scholarship fund. To support the Preston ‘Gage’ Pitman Scholarship, please contact the Tallahassee Builders Association at 850.385.1414 or send your request to become a donor to Lynne Edwards, Executive Officer at lynne.edwards@tallyba.com.